For anybody owning an iPhone, there’s a strong chance that at some point, they would’ve considered an Apple Watch. Even if you’re not a watch aficionado, there’s a certain charm and appeal to the Apple Watch that makes it a coveted piece of hardware. It’s gadgety yet making a bold fashion statement, and it goes well with pretty much all kinds of outfits. The one challenge, however, is that the Apple Watch doesn’t come in cheap. In fact, as far as smartwatches go, Apple Watch is among the highest tier in terms of pricing. So, what do you do if you’re an iPhone user but — whether due to budget constraints or a dislike for the Apple Watch — want a smartwatch? You hunt for alternatives. And that’s we’ll do in this post — list down some of the best smartwatch alternatives that work with an iPhone but don’t come with an Apple tag. Note: While the primary objective here is to list down Apple Watch alternatives that work with iPhone, if you are an Android user and want an Apple Watch alternative, we have you covered. Almost all of our recommendations, even those that are non-Android Wear, will work with most Android phones as well. We have to lump Android Wear in one large category, because it’s been a while that smartwatches running Google’s operating system have been compatible with iOS devices. The trend started with the Huawei Watch, which was compatible with any iPhone running iOS 8 or above, and to date, pretty much every new Android Wear device has been able to work with iPhones. The caveat is that this functionality is quite limited, but if you just need your watch to give you notifications, that should be enough. It also helps that outside of watchOS, Android Wear is probably the most stable smartwatch experience that you’ll get out there. Let’s take a look at some of the notable Android Wear watches that you can use with your iPhone or Android smartphones. We will not go into their functionality because all these smartwatches run Android Wear at their core, so there’s nothing unique in that area. 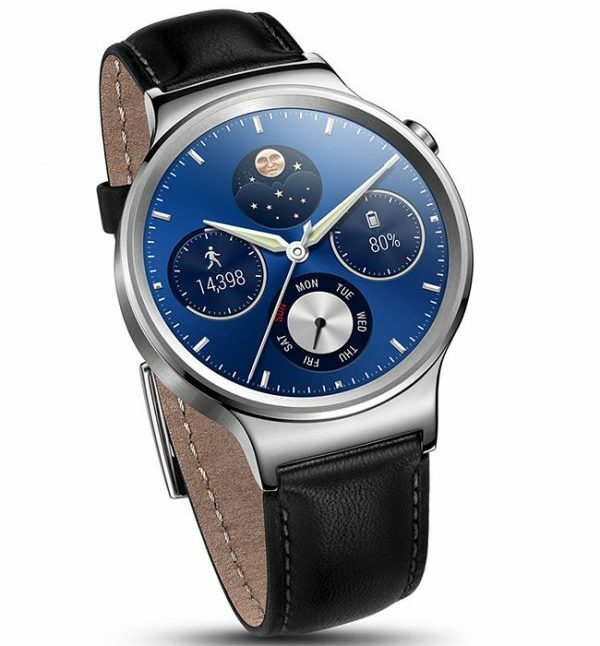 The Huawei Watch 2 is a major upgrade on the previously-successful and elegant Huawei Watch. Design-wise, it features a ceramic bezel that screams quality from the moment you see it to when you wear it on your wrist. 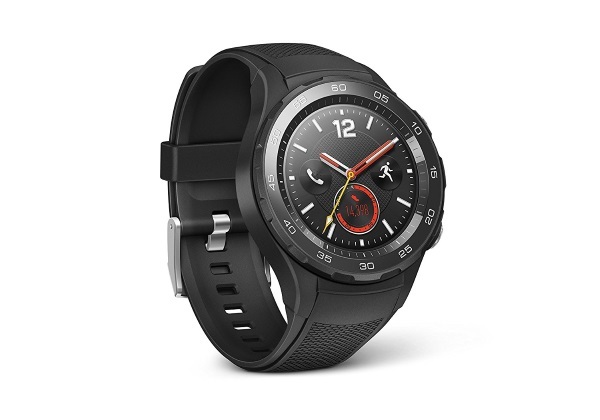 The second generation wearable from Huawei comes with built-in GPS, has an improved heart-rate sensor and is IP68 water/dust resistant, along with the optional 4G connectivity that allows internet and calls connectivity without an active phone connection. 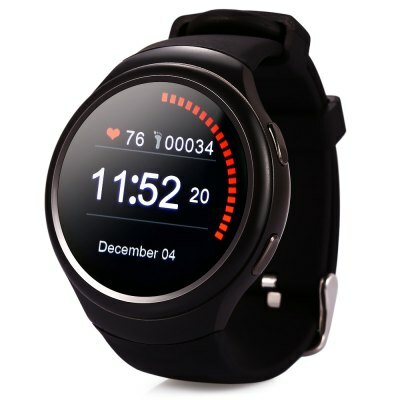 It offers real-time coaching for workouts, and the battery is much, much improved with dedicated modes for the type of usage that you prefer, where the Watch-only mode lasts for as much as 3 weeks on a single charge. The Huawei Watch, despite being over a year old, still remains one of the best Android Wear smartwatches on the market, and for good reason. It has a classic watch-like design, is made of stainless steel that feels wonderful on the wrist, isn’t unusually thick and features sapphire glass on a display that is gorgeous to look at. The watch comes in two different sizes (42mm, 11.3mm and 44mm, 12.45mm) with a 300mAh battery that should easily last you a day. There are various color and straps options, including mesh, link bracelet and genuine leather. It’s being sold on Amazon for $200 as of this writing. Asus’s smartwatches have considerably and consistently improved since their first Zenwatch, which was incidentally my first smartwatch as well. With Zenwatch 3, the company has finally got right a number of annoyances that plagued both the earlier generations. Zenwatch 3 features a stunningly-beautiful round design (finally), which should strike home with fans of traditional timepieces, and features a Qualcomm Snapdragon Wear 2100 processor that’s ample fast. 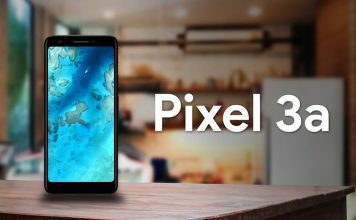 It, too, comes with a 1.39″ display with a pixel density of 287ppi, putting it among the best outside of the Apple Watch. Battery is slightly larger at 340mAh and supports Quick-Charge. Asus Zenwatch 3 comes in Silver, Gunmetal and Rose Gold color options with a stainless steel case. Oh, and it’s water resistant, too, with an IP67 rating. It’s being sold on Amazon for $229 as of this writing. If you’re looking for something cheaper, Asus Zenwatch 2 ($185) is also a viable contender. This one features a rectangular, Apple Watch-like design, though, but is retailing for a solid $100 less. 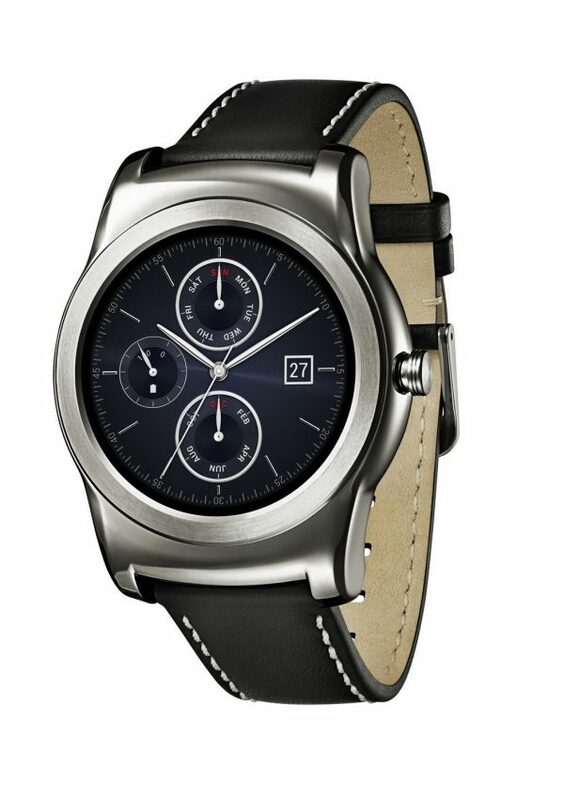 The Watch Style is LG’s most recent addition to its wearables arsenal. Coming out of the box with Android Wear 2.0, LG Watch Style is a cool looking smartwatch with decent specs and attractive design aesthetics. It features a 1.1 GHz Snapdragon processor with leather bands that are easily replaceable. The watch also boasts IP67 dust/water protection, making it reasonable for a walk in the rain, but not swimming/diving. It is also a small watch because LG claims it’s unisex, and comes in Rose Gold, Silver and Titanium colors. Watch Style retails on Amazon for $270. Another great option in Android Wear which, despite being old, remains one of the best out there. The LG Watch Urbane also sports a round watch face with a 1.3″ display and a mere 10.9mm thickness, making it among the more attractive options. Despite being thinner than its competition, the Urbane packs the largest battery of the lot, measuring at 410mAh and giving this smartwatch one of the longest rated battery lives in Android Wear watches. 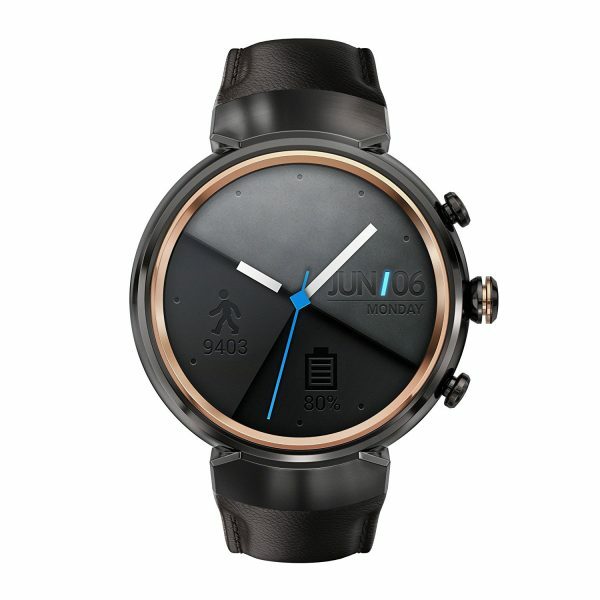 Watch Urbane is also one of the few Android Wear smartwaches that come with additional sensors on top of the traditional heart rate monitor and the 6-axis gyroscope; it features a barometer as well for environmental pressure. 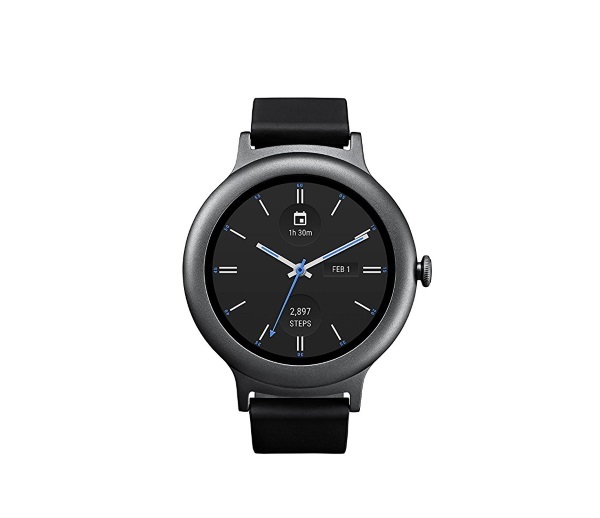 LG Watch Urbane retailed at $299 when it launched, but it is out of stock in new on Amazon right now. You can either look for buying options elsewhere or find a location to buy from LG’s official website. Alternative, Amazon has a range of options in used that you can explore. If you’re looking for a proper sports smartwatch that isn’t made by Apple, you’ve landed home with the Polar M600. The biggest differentiation between Polar M600 and other Android Wear watches is its sporty, rectangular design. On top of that, the device features built-in GPS and GLONASS, making it ideal for those outdoor workouts and hikes. 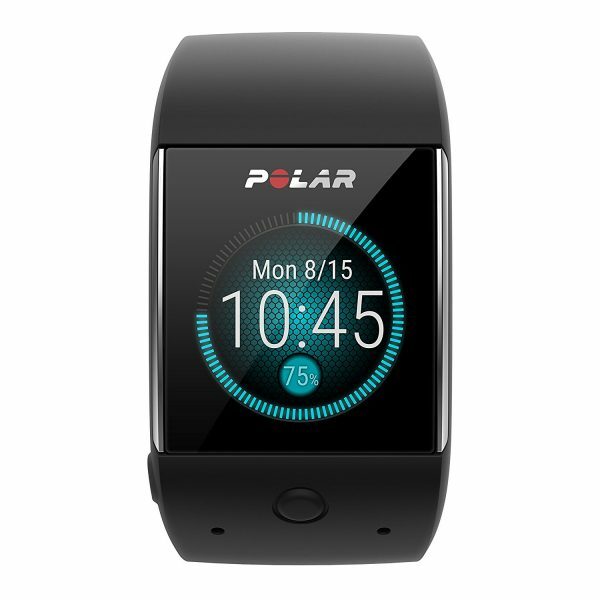 It performs 24/7 activity and heart rate monitoring on your wrist, and features access to Polar’s exclusive “Smart Coaching” that will help make your workouts better through personalized advice and plans. The watch is also waterproof and comes with special tracking for swimming, just like Apple Watch 2nd edition. The battery should last one and a half day with an iPhone, although it would considerably reduce with constant GPS usage. 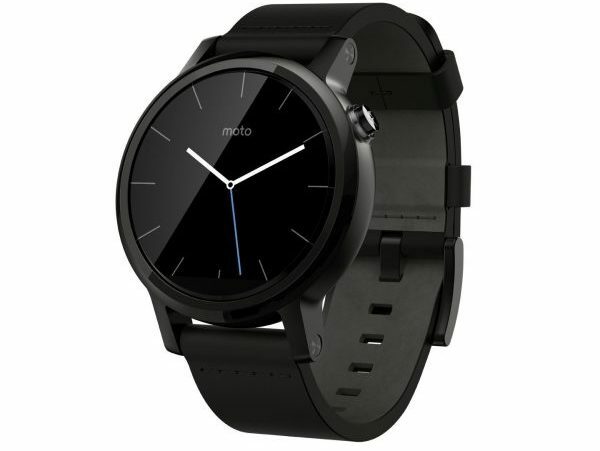 The Moto 360 is one name that would be familiar to even those who are not that into smartwatches. After all, this is the one that made smartwatches mainstream. Moto 360 2nd generation improves on pretty much all the aspects of its predecessors, although it still carries the infamous flat-tyre display that irked a number of users. 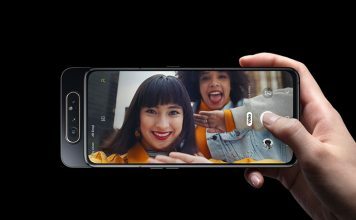 The new version comes in different size options for men and women both, is powered by a Snapdragon 400 processor and features a display up to 1.56″ large (on the men’s version). It comes with 4GB of internal storage just like almost all other Android Wear devices, and is IP67 certified for water and dust protection. There’s the standard array of sensors including a heart rate monitor, but isn’t suitable for swimming. There’s a plethora of watch strap options, and the 2nd gen Moto 360 comes with quick release mechanism, so you can change straps on the go. That’s it for Android Wear – now let’s look at some Apple Watch alternatives that are not powered by Google’s OS but instead carry their own proprietary operating mechanisms. The Garmin vivoactive HR’s name should tell you a number of things about this smartwatch. Sporting Garmin’s brand name, this smartwatch is a fitness tracker at heart with the mind of a smartwatch. Featuring GPS and a sunlight-legible color display, this watch will assist you in a number of sports, including the traditional ones topped by swimming, skiing, golfing, biking and rowing, with dedicated modes supporting each. 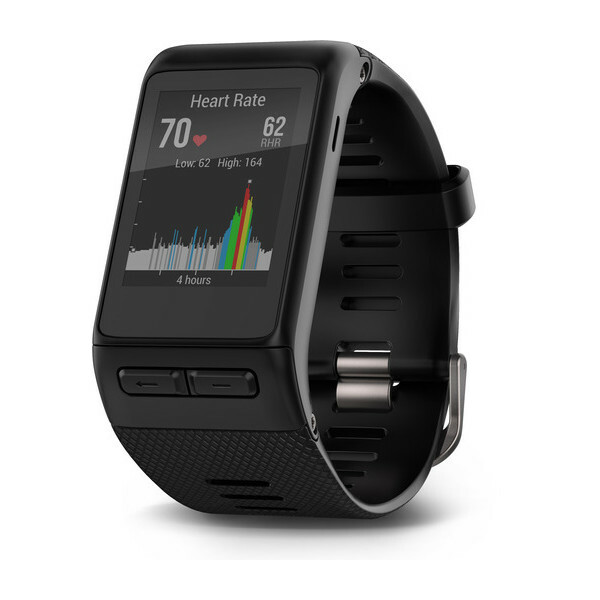 It comes with Garmin’s proprietary store for customization of look and feel, and pairs with your iPhone to give you notifications as an additional benefit. The device also features one of the longest battery lives on smartwatches — up to 8 days on a single charge. vivoactive HR is made of plastic polymer, so you won’t get that look and feel of elegance, but hey, that’s not really the intent behind this smartwatch. What started as a Kickstarter campaign produced one of the neatest smartwatches on the market, especially in terms of design. Ticwatch 2 is a smartwatch that focuses on almost everything, from sports to unique design to built-in GPS and remote notifications. The highlights include a unique design where the digital crown is on the wrong side, because the right side of the watch is a “tickle” area which can be used for a number of interface navigation actions. It runs a proprietary Ticwear OS which is neat, but lacks apps as of now. 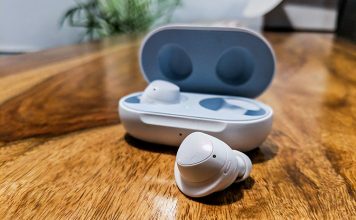 The device features completely wireless charging, and sports a 300mAh battery. Because it’s basically a sports watch, it comes with silicone bands that look quite beautiful on the wrist, but are not as elegant. It carries IP67 rating for water protection, and is available at an affordable $200. There had to be a Samsung in here, right? The Gear S3 Classic is the one that ticks all the right boxes to make it on our list of best Apple Watch alternatives. 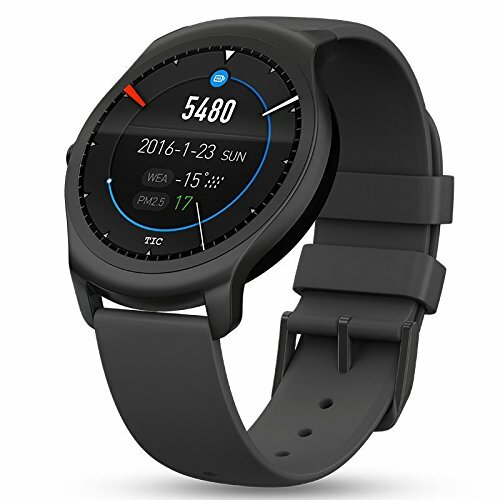 The biggest advantage that Gear series has over its competition is the unique rotating bezel that is used to navigate around Tizen OS, Samsung’s proprietary wearable operating system. That also enables the smartwatch to work better with iPhones compared to Android Wear alternatives. It comes with the standard tracking sensors, from heart rate to step counting and more, including GPS. 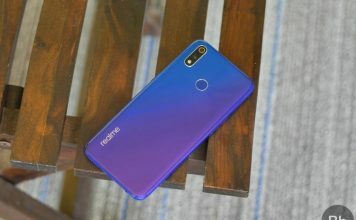 The device features a military-grade construction, so apart from being water and dust resistant, it can also survive extreme temperatures and occasional drop. And it has a fairly long battery life, too, lasting up to 4 days on a single charge per Samsung’s claims. 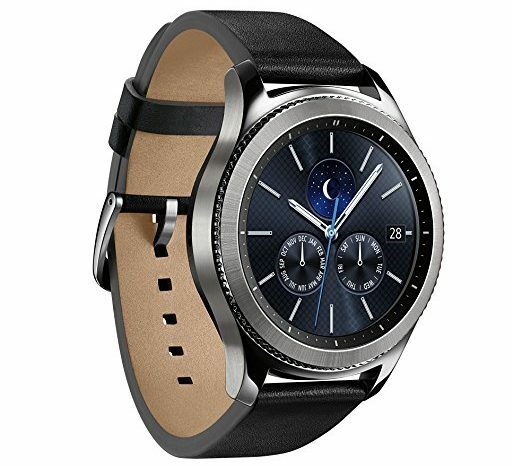 Gear S3 Classic also comes with a standard 22mm watch band connector, so you can easily opt for a band of your choice should you not prefer the ones that the watch comes with. If you’re not at all into mainstream brands and want a smartwatch nonetheless, a viable option is the plethora of Chinese smartwatches that exist out there. One such option is the K9 3G smartwatch. What makes this (and others of its kin) unique is the fact that these watches are complete phones in themselves, with the option of sticking in a micro-SIM card for independent phone functionality. 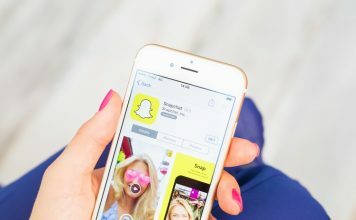 At the same time, you can hook them up with your existing smartphone, including iPhones, to get notifications and share phonebooks. The K9 3G runs full Android and comes with a 1.3″ TFT touchscreen. The Android that it runs is 4.4 KitKat, so you’ll end up with a limited, dated OS, and there is no water resistance either. But considering that it retails at just $125 for a full featured phone on your wrist, that’s hardly a deal breaker. Other such options come in at even cheaper. One must-have mention here would’ve been the Pebble series, especially the Pebble Time Steel ($90 on Amazon), but since Pebble has officially decommissioned itself and sold the business, we’re reluctant to recommend that. A recent piece of relief is the news that Pebble will continue to function for existing owners even after their cloud server go out, but we still will not recommend this as a viable option for Apple Watch alternatives in the wake of how unpredictable things have turned out to be. That’s about it for our list of best Apple Watch alternatives. We have included the best of Android Wear smartwatches, as well as smartwatches running other platforms. If you have any good recommendations for Apple Watch alternatives that should have been on this list, let us know if the comments below.